Spring seems to have come and gone. With the up and down weather the last couple months, the fish have finally started to settle down into summer patters. 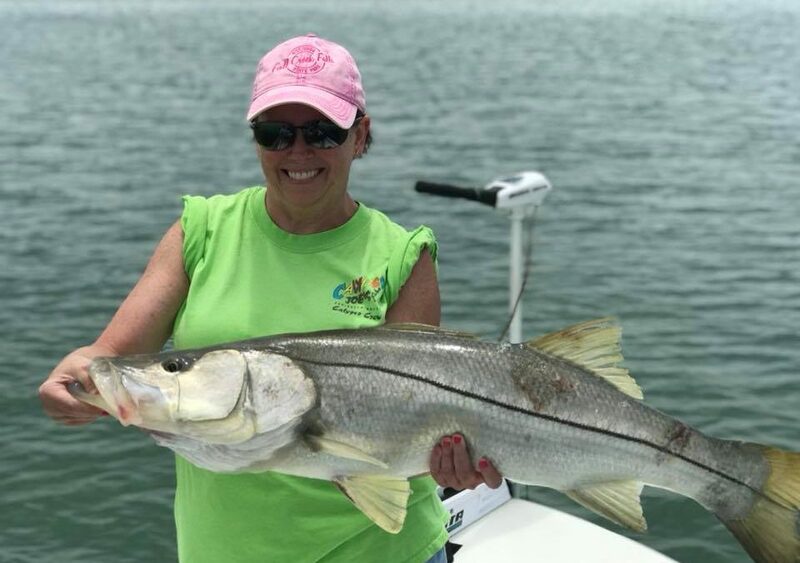 Snook and Tarpon will steal the show the next couple months as they invade the areas beaches and passes. 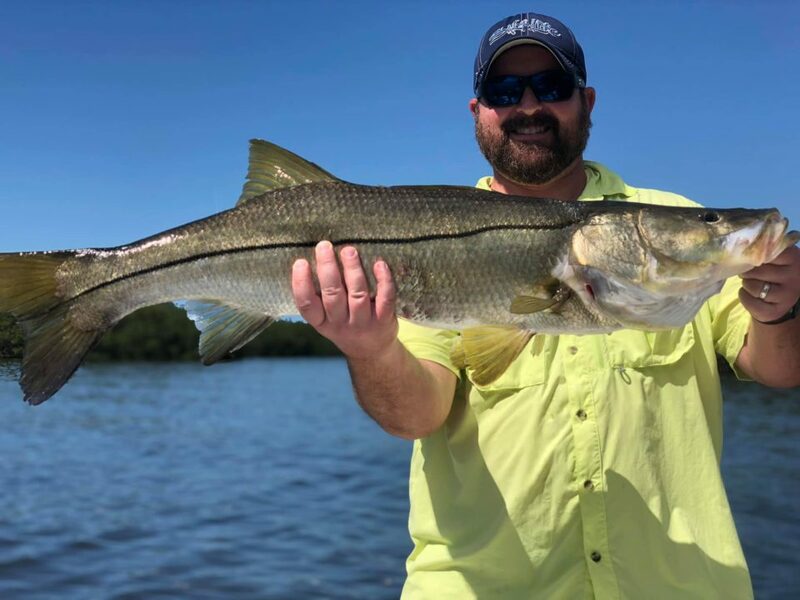 The Snook fishing has really fired off the last couple weeks and should continue to get better some big fish have definitely came to the boat. I am seeing more big fish this year than I have ever before. 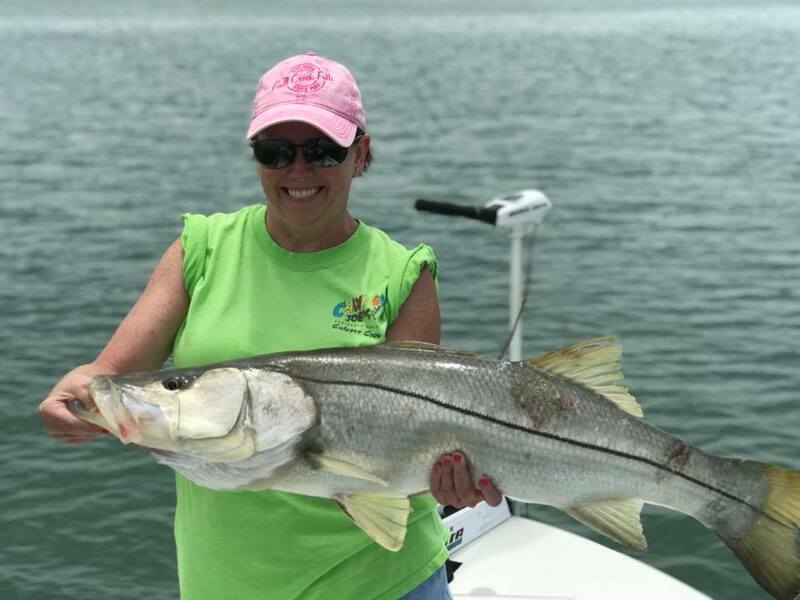 These big fish are targeted on the beaches and in the passes along Clearwater, Dunedin, Palm Harbor, and Tarpon Springs. 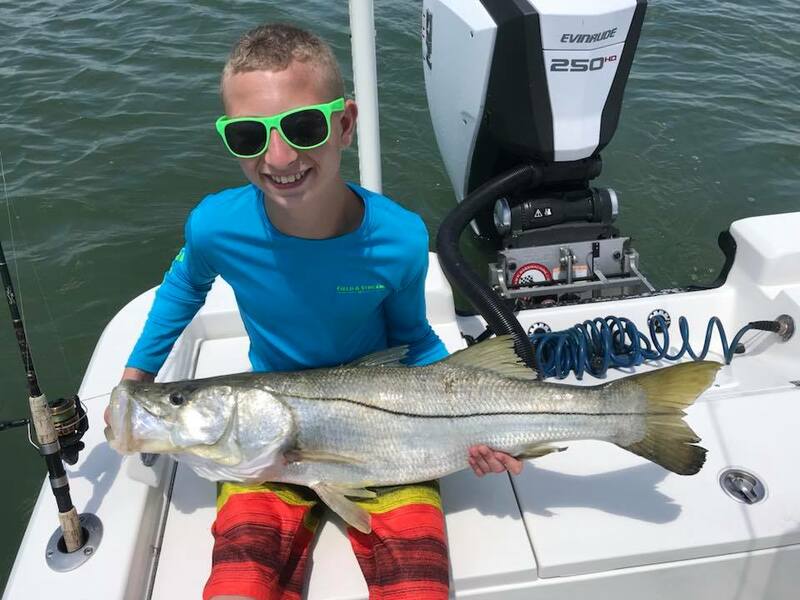 Green Backs, Grunts, and Pinfish are the baits of choice. Tarpon have also begun to show up in big enough numbers to start to target. Look for these fish rolling off the beaches and in the passes. Whitebait, threadfins, and crabs usually will entice a bite. Early morning and late afternoon seem to be the best action for Tarpon. 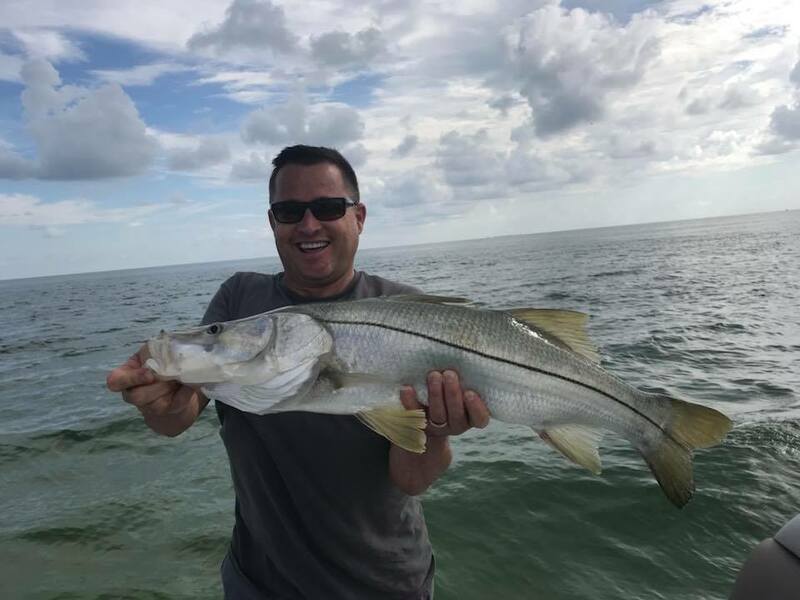 Trout and Redfish are still available for the taking for some good table fare but tend to not be my targets over the next couple months as most clients are after that once in a lifetime trophy fish. By far this is my favorite time of year to fish. Definitely a quality over quantity time of year but we do have many days that we have quality and quantity.